With a very heavy heart I have to write about the loss of a wonderful, wonderful friend. Vienna had a sparkle to her that, for me, will always be unmatched. She grinned from ear to ear, wagged her entire body and lived life to the fullest. Her seven years were full of joy. Vienna never met a person or dog she didn’t like. 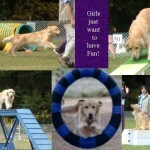 She tried her best at every event we entered but really started to shine when we found agility. I started her as an adult thinking it would be something fun we could do together and never dreamed we would go as far as we did. She progressed through the classes and, once I had learned how to avoid having her stop to visit the judges and ring crew, she really started to run and to Q on a regular basis. In 2005 she came into her own. With her championship, TD and AGN from previous years we decided to work toward her Lifetime Versatility award. 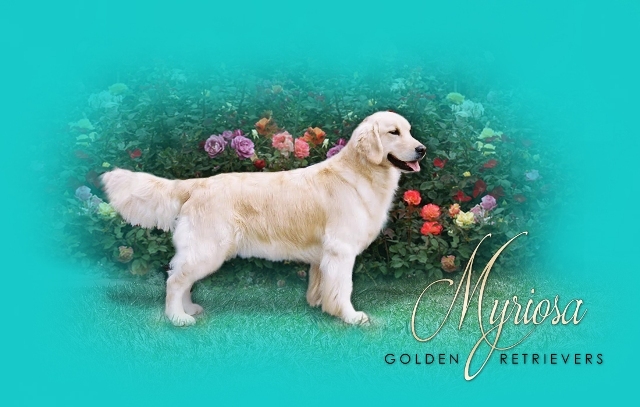 She started with earning her Agility Intermediate with a first and two fourth place rosettes in May, her WC in June and her CD in early September. 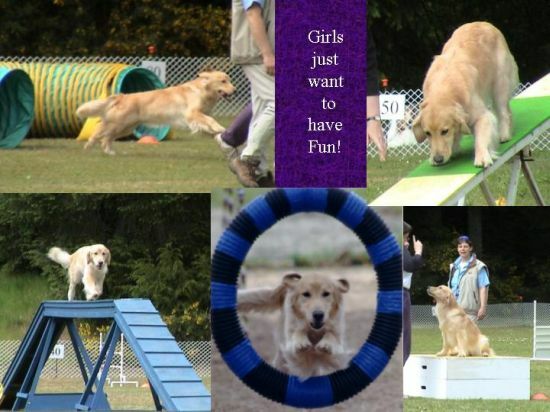 In October it was back to agility where she completed her Advanced Agility title (SAADC) in AAC (Agility Association of Canada) competition. 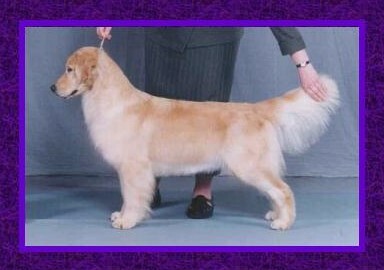 In 2006 we continued in agility and on July 1st she earned her SMADC title “Specials Master Agility Dog of Canada” commonly known as a “MAD”. The next day she Q’d in Masters Jumpers and earned her Masters Jumpers title as well. On the third weekend in July we went to the GRCC CKC trials in Vancouver and in the incredible heat little Vienna ran her heart out. We finished her Novice Jumpers and her Intermediate Jumpers and picked up her second Excellent Standard Q.
Vienna was truly the dog of anyones dreams. 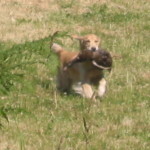 In May of 2007, after eight months of chemo treatment for lymphoma, Vienna earned the final leg of her Agility Excellent title. Through the heartbreak of the diagnosis and the treatments Vienna continued to shower me with the bright sparkle that was so much a part of her. 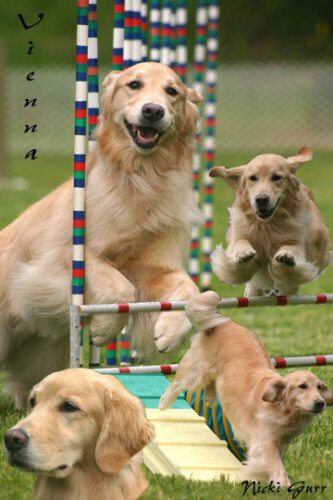 She loved agility so I made the effort to continue working with her knowing that the title I had so long dreamed of had to be out of our reach. 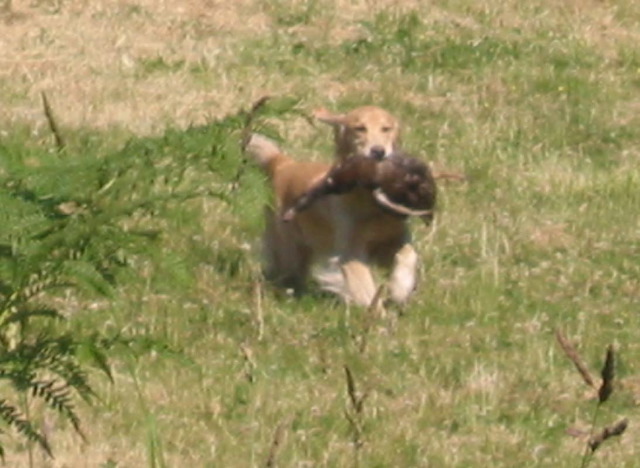 I entered the Tyee trial because I knew how much she wanted to run and how much she would enjoy being there with all the dogs and people that she loved. It is a wonderful venue out on the grass with trees all around and we had made so many wonderful memories there in previous years. It just seemed the right thing to do. Contrary to my expectations Vienna flew over those 20 inch jumps and earned that last Q with her tail wagging the whole way. In August, after 10 and a half months of living with lymphoma she was gone in a flash. On Saturday afternoon she was running around playing and on Sunday morning she slipped from this world held safely in my arms. May she enjoy living the summer of my dreams until we meet again. In the summer of my dreams!